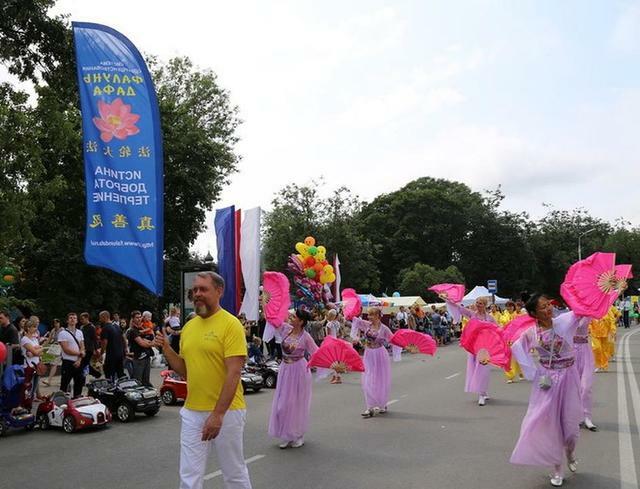 Falun Gong practitioners in Russia participated in the City Day Parade in Pskov, a town of 200,000 people 160 miles southwest of St. Petersburg. It is one of Russia’s most ancient settlements, dating back over 1000 years. Forty local enterprises and organizations made up the parade. 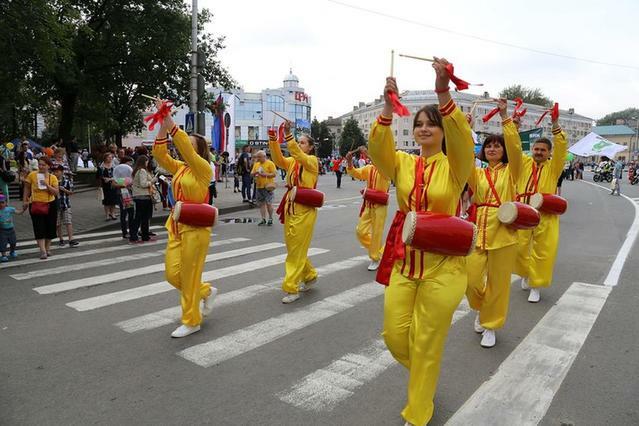 The Falun Gong entry consisted of three sections: the celestial maidens, an exercise demonstration, and waist drummers. 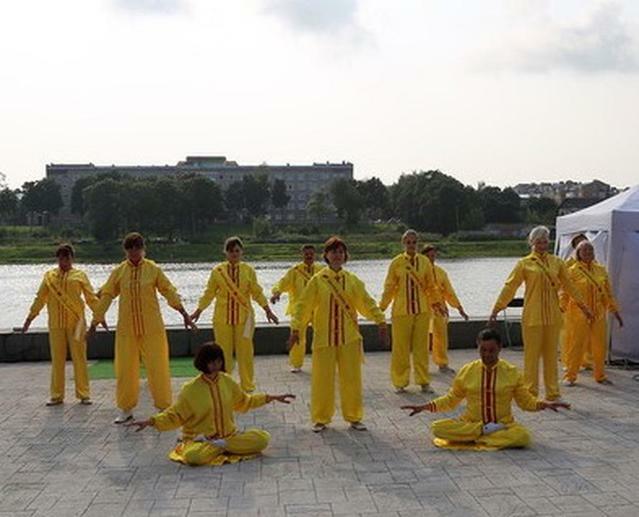 Practitioners dressed as celestial maidens handed out flyers with information about Falun Gong during the parade. 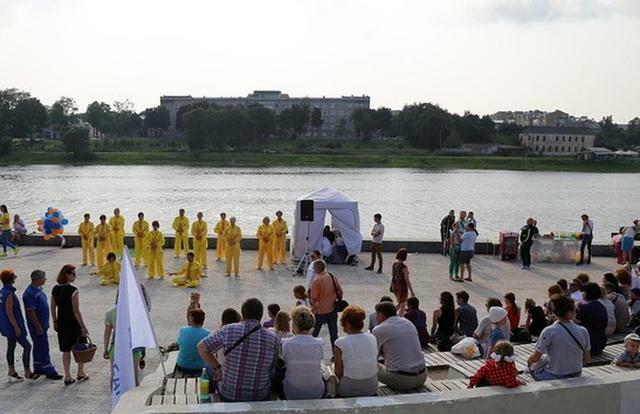 After the parade, practitioners demonstrated the exercises on the banks of the Velikaya River, played the waist drums, and performed traditional Chinese dances. They also taught children how to fold paper lotus flowers, which are a symbol of purity, and impressed upon them the values of Truthfulness, Compassion, and Forbearance.